This is a sponsored post. The Walmart Gift Cards and information have been provided by P&G. All opinions in this post are honest and my own. We love P&G products! As a kid, I remember my Mom buying P&G items and as a mom myself, I am continuing the family loyalty to the brands I grew up using! Tide is my absolute favorite P&G product, while Joe's favorite is Bounty. So, when we found out about Walmart's Stock Up and Save event for P&G products (during the month of April), I made sure to stock up on those items. You can never have too much laundry detergent or paper towels, especially with kids in the house! Summer is almost here and soon we'll be spending most of our days outside playing. Grace has a knack for getting dirty anywhere, so I will be thankful that I am stocked up on my favorite laundry detergent to get her clothes their cleanest! 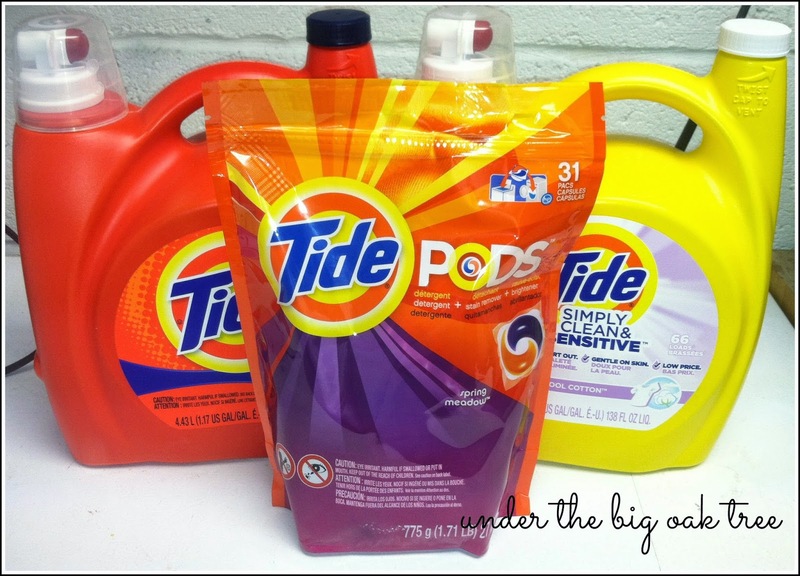 In addition to picking up my usual Tide Liquid Laundry Detergent in the original scent (love it! ), I also grabbed a bottle of Tide Simply Clean & Fresh Liquid Laundry Detergent. It's priced lower than the original, so I figured since it's a brand I trust, it's worth giving a try! As I said, Grace really manages to get dirty and make messes. So, paper towels are always a must-have in our home. I'll admit, in a pinch we've given other paper towels a try. Whether it's been another name brand or just a store brand, but none ever come close to Bounty for getting the job done. 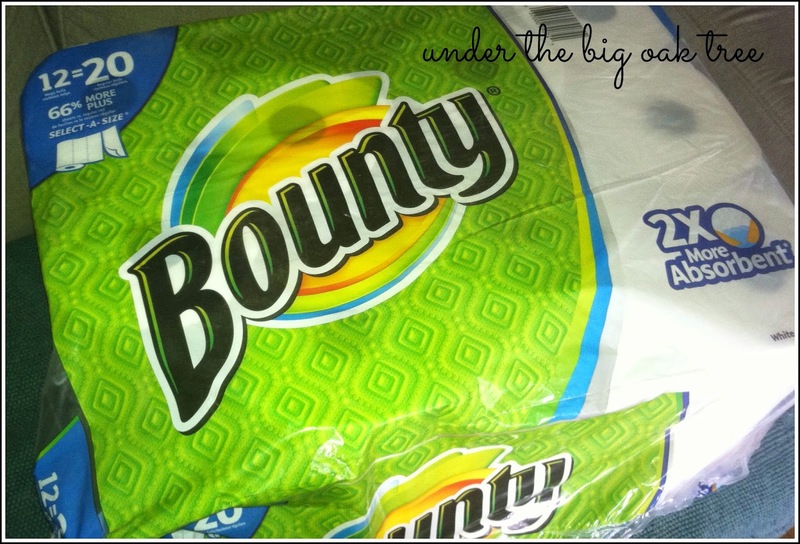 Aside from being the best at absorbing messy spills, I love that Bounty has Select-A-Size rolls! No more using full-size sheets for smaller messes! As you can see in the photo above, Joe didn't waste any time opening up the package of Bounty! He likes to keep a couple rolls in his truck at all times! The nice people at P&G not only provided me with a gift card so that I could stock up on their products, they are also allowing me to give away a $25 Walmart gift card to one lucky reader so that they can purchase some of their favorite P&G products! Isn't that so awesome?! Entering is easy using the rafflecopter form below. We just ask that entrants are 18 years or older and a resident of the United States. Giveaway winner will be notified via email and will have 24 hours to claim their prize or another winner will be selected. Today, my friend Emily would like to tell you about a fundraiser she has organized locally. While attending a local farmer's market this summer, I had the pleasure of meeting many new neighbors and small businesses in the local community. One family we met, we learned was involved with a local charity that struck our hearts. They invited us to a banquet benefiting that charity, and I got to learn more about them and what they do. That local charity is Morning Star, and to see the impact it has made in their lives. Morning Star offers support, help and education to young mothers facing a crisis pregnancy. When a young woman comes to them, they offer help with obtaining medical care, parenting classes, life skills classes, education, job assistance and housing assistance when they are ready to leave the home. They not only make sure the mothers are taken care of during the pregnancy, but are prepared for their life after the babies arrive, so they can expect a hopeful future. I was moved to try to do something to help the maternity home, and as my major skill sets revolve around event planning, I committed to help plan a fundraiser for Morning Star. I also happen to be the co-admin of "Businesswomen and Mompreneurs (BAM), Upper Bucks", a local networking group for Moms. 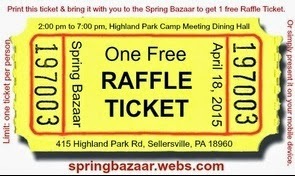 We chose Morning Start as the beneficiary of our first annual Spring Bazaar. We are planning a fun, family-friendly event, complete with vendors, raffles, food, games, crafts and entertainment. There will be balloon animals, face painting, character costumes, a fun phot booth, chair massage and more! Disclosure: This is a sponsored post for SheSpeaks/P&G. Every year, during the holidays, Grace and I tend to get sick. We visit family, someone sneezes, and that's it! We're sick for the rest of the holiday season. It never fails. I knew when Grace started school this year that she would start bringing home all sorts of germs and sicknesses, I just wasn't aware that it would be so often! So far, she and the rest of our household have been sick enough times for her to miss 6 days of school from September through February. Add in the weekends and holiday breaks that we've been feeling under the weather and that's a lot of sick days! In a conversation with a friend, we determined that sharing germs is the main lesson taught to our 5 and 6 year olds in Kindergarten! Thanks to SheSpeaks along with P&G, we are ready for the next bout of colds & flu with a Vick's DayQuil Severe and NyQuil Severe combo pack! The lots of rest portion of that list isn't always realistic, but luckily, Grace can be somewhat sympathetic to mommy feeling yucky. Especially, if she had just recently dealt with a bug herself. Often, she will snuggle with me or play quietly in her room while I have control of the TV for once! In addition to my home remedy list above, Joe and I have always made sure to keep our medicine basket well-stocked with DayQuil and NyQuil products. Joe prefers the liquid form while I always opted for the gel tabs. So, I was excited to be given the opportunity to try this new maximum strength version. 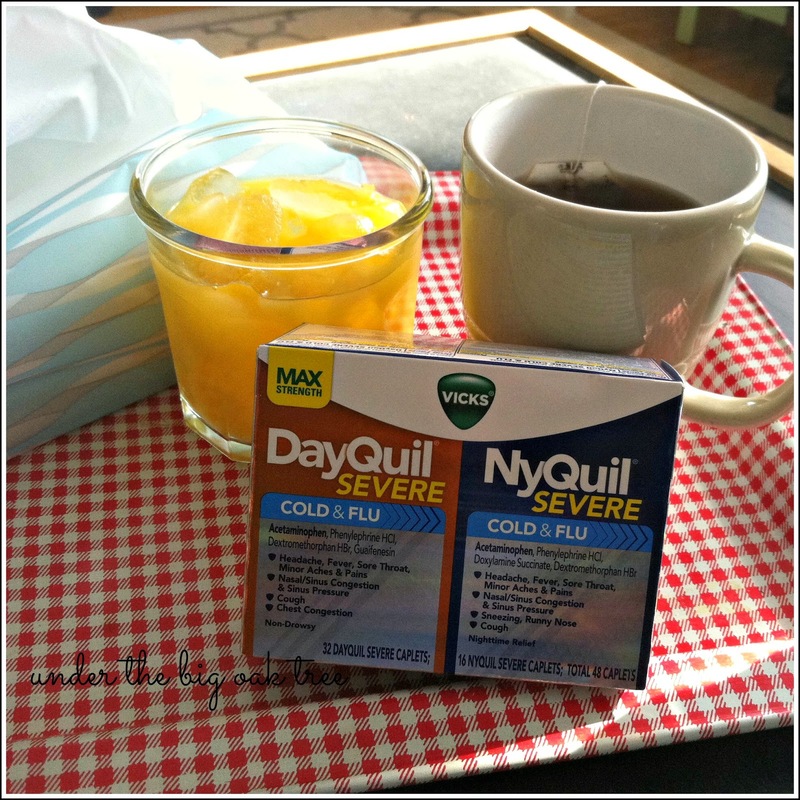 Since Vick's NyQuil/DayQuil Severe Cold and Flu Combo Packs are available at Walmart (both online at Walmart.com and in the store), it's easy to stock up on all that you need to get you through the rest of the cold and flu season!